Our tuition centre in North Finchley is the nearest centre to Barnet located on the grounds of St Michael's Catholic Grammar School, close to Woodside Park tube station and the North Circular. We tutor children aged between 4 and 18 years old, with tailored programmes covering maths, English and science. 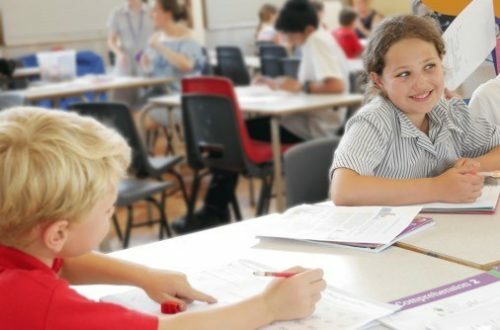 We also offer expert tuition designed to prepare your child for KS1 & KS2, 11 Plus and 13 Plus exams, SATs, GCSEs and A Levels, all designed to meet the individual needs of your child. We know that every child is an individual with their own way of learning and we will help your child find their prefered learning style and technique to accelerate their academic growth. All our tutoring programs are aligned to the National Curriculum and our success rates speak for themselves – at GCSE level our students have never achieved below a C grade (now a grade 4 / 5). At 11 Plus, 100% of our students have achieved a choice from their top three schools around Hertfordshire and London. Whatever learning stage your child is at, vaks can provide expert tuition that will make a difference. Our tailored approach means we can support children of all abilities, beginning with a free educational assessment. Our team of enthusiastic and inspiring tutors interact with children throughout the entire learning process. We do not place your child in front of a computer, preferring a personalised approach which is hands on and stimulates your child at every stage. Our tutors are enhanced DBS checked and regulated by Ofsted. They guide your child through our carefully designed learning programmes which run parallel with the school national curriculum. Pupils of all ages across the country benefit from private tutoring classes, which are tailor made to each student's unique learning needs. To lean more about our are private tutoring in Barnet. To lean more about our are private tutoring in Barnet. You won't find a tuition provider like us!